Lock: 3-position lock with 2 keys (3-position lock (Manual Open, Electrically Online, Locked Open/Closed). 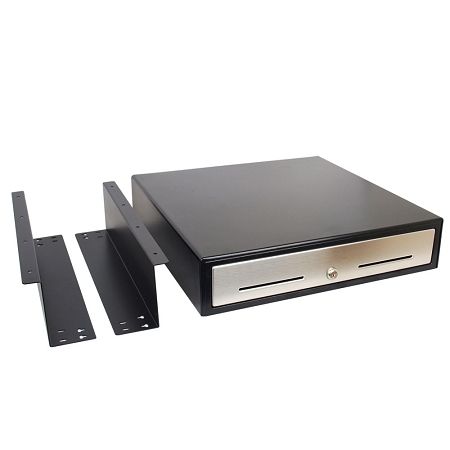 Our 18" Cash Drawer with a Stainless Steel Front Panel bundled with the Under Counter Mounting Brackets! 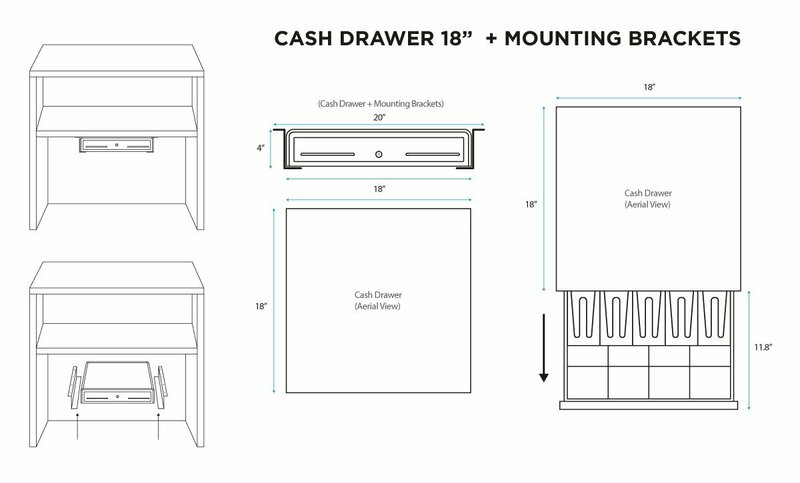 this Cash Drawer features smoother operation, a stronger locking mechanism, and fully adjustable till. 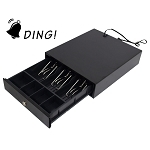 It's designed for or the heaviest of retail or restaurant environs. 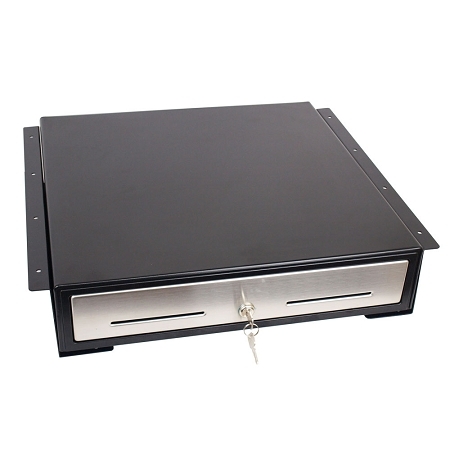 24V Interface compatible with all POS hardware, Epson, Citizen, Ithaca and Star among others. 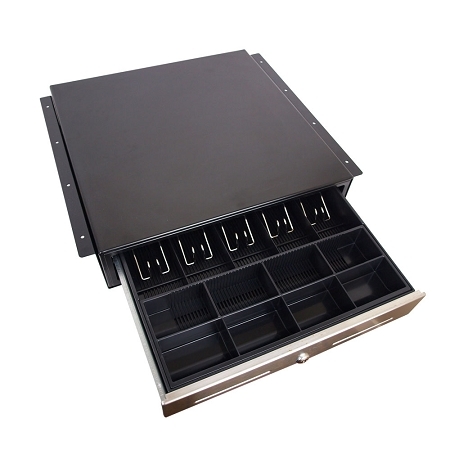 The 18-inch cash drawer features an inside cash tray of 5-bill, 8-coin molded till, 3 position lock and a direct drive interface that is compatible with POS terminals. Dimensions (mm): 460(W)X460(D)X100(H), excluding feet height. Construction: All metal construction with stainless steel frontal panel. Colour: Black with stainless steel front.